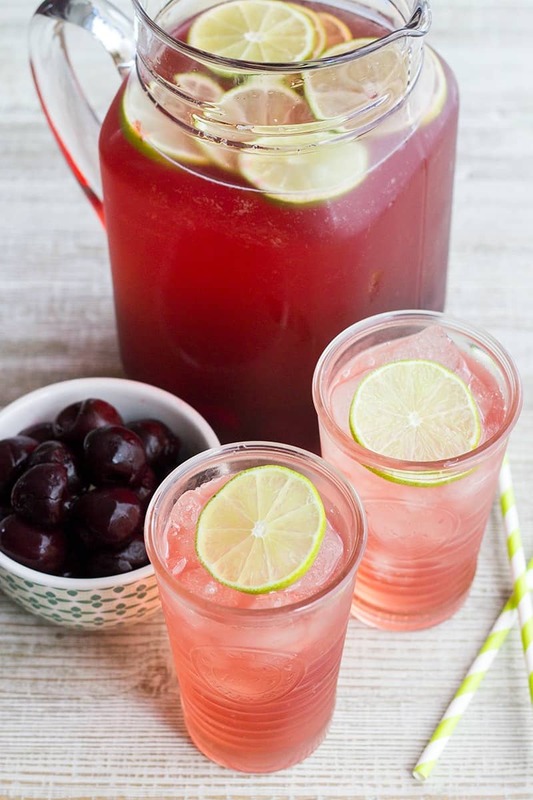 Cranberry & Cherry Punch is easy to make and delicious to drink! 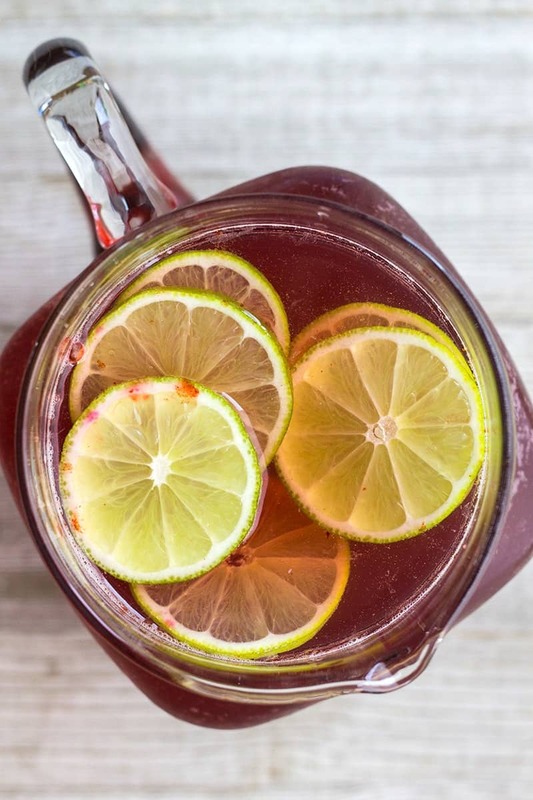 This punch a favorite at parties and a great pitcher cocktail option any time of year! Around the holidays having an easy-to-make cocktail I can pre-make and pour is one of my favorite entertaining tricks. It’s like having a signature drink at a wedding. Everyone wants to try it and because you can make a big batch and put it in a pitcher or drink dispenser you’re not stuck playing bartender all night. This punch is also pretty cheap to make. You’ll want to a decent vodka, not the big plastic bottles on the bottom shelf, but you can use a $6 bottle of spumante and it’ll taste great. No need to drop $20 buck on the wine since we’re mixing it with juices. Then, you can spend that extra money on yourself. This punch to totally delicious. The slight sweetness from the wine and cherry juice goes great with the tart cranberry juice and sweet & sour. It’s refreshing, a little fizzy, and perfect for all your party needs. 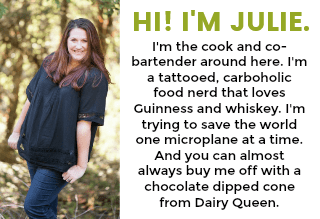 The best part is that even if you run out, it only takes a few minutes to whip up a new batch! I used cherries and limes to garnish this punch. Somehow the store didn’t have frozen cranberries which seems really weird for this time of year. 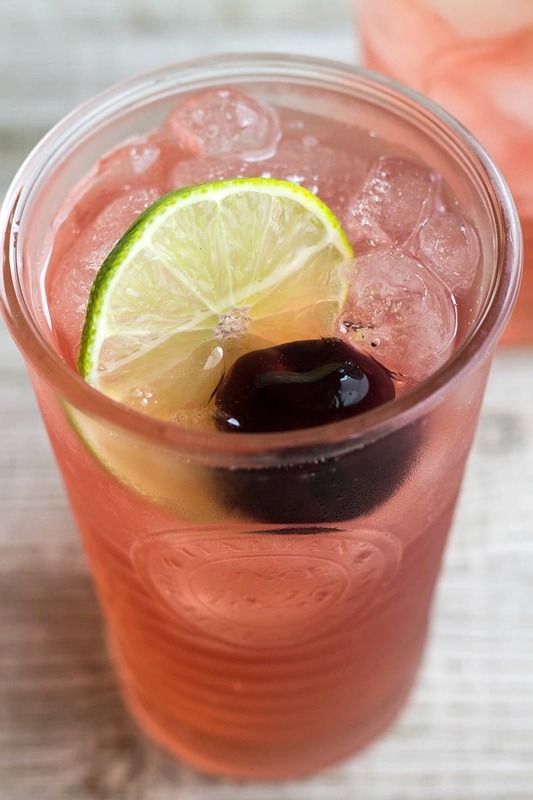 But you can use cherries or cranberries to note the juices in the punch. If you’re making this punch well in advance. Leave the fruit out until about an hour before serving. 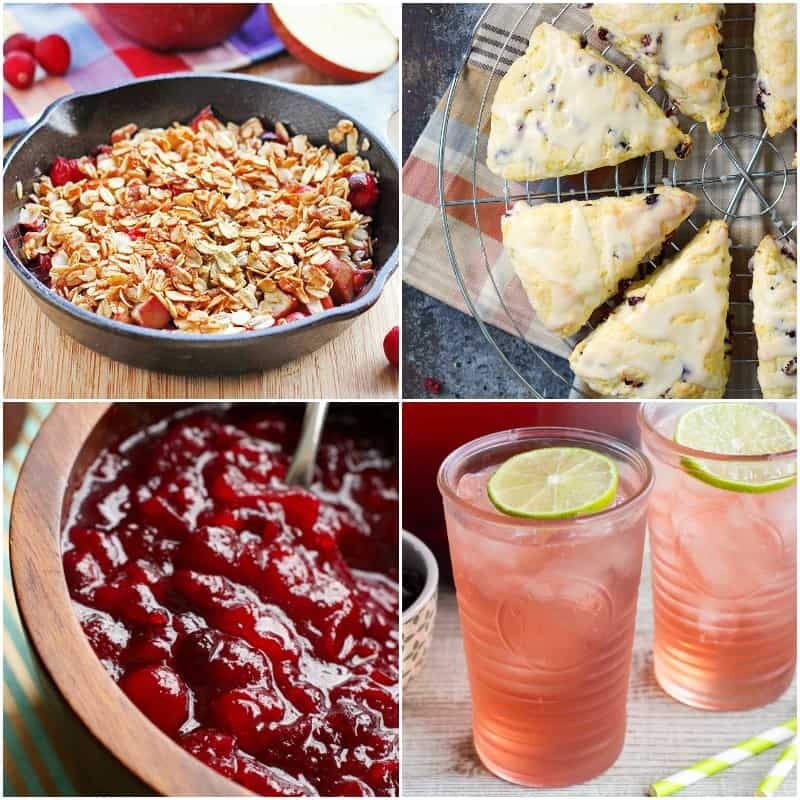 If this punch has wet your whistle for more cranberry goodness, then you will love these cranberry recipes from feast & devour! This seasonal ingredient will make your taste buds smile and your tummy happy! Add sparkling wine to a 2.5-quart pitcher. Then add juices, vodka, and sweet and sour. Stir to combine. Add cherries or cranberries and lime wheels for garnish. Refrigerate until ready to serve. Woo-hoo! It looks like a great way to top off the holiday party or stave off the relatives. This punch was perfectly pretty at our Valentine’s party! Thanks for sharing this tart & tasty crowd pleaser.